will this also work with a sears roebuck .22 cal 126.19310? from what i have read, it is the same air rifle just different brand. There’s no Crosman equivalent for that model. 126.19310 details. 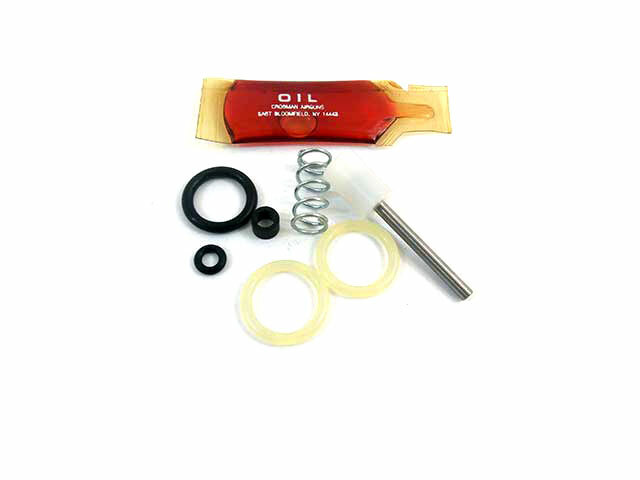 For airguns you’re unsure about it’s always best to use the custom order seal kit section. You’ll find it in the main menu under repairs. I HAVE A M180 HAWTHORNE – 22 CALIBER CO2 PELLET GUN SOLD BY MONTGOMERY WARDS. WILL THE CROSMAN 180 SEAL KIT WORK ON THIS GUN???? Yes. Your airgun needs seals. It does not come with instructions, but it does come with an exploded drawing.